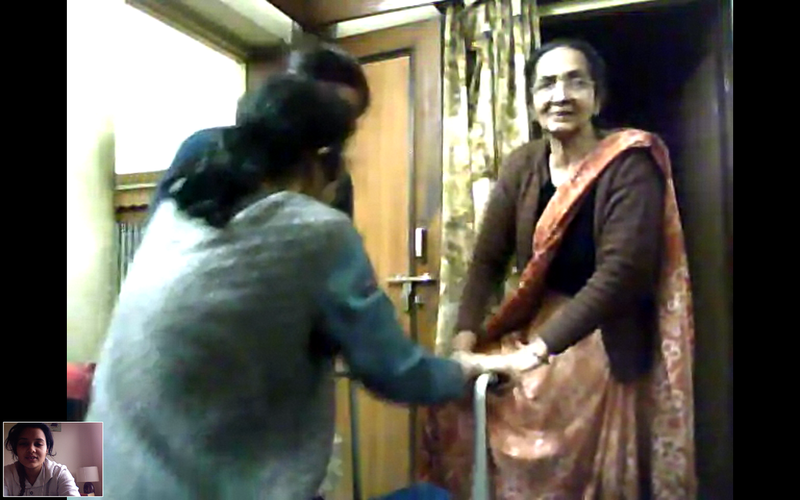 Through this ongoing project I intend to convey my emotions on being away from my mother. 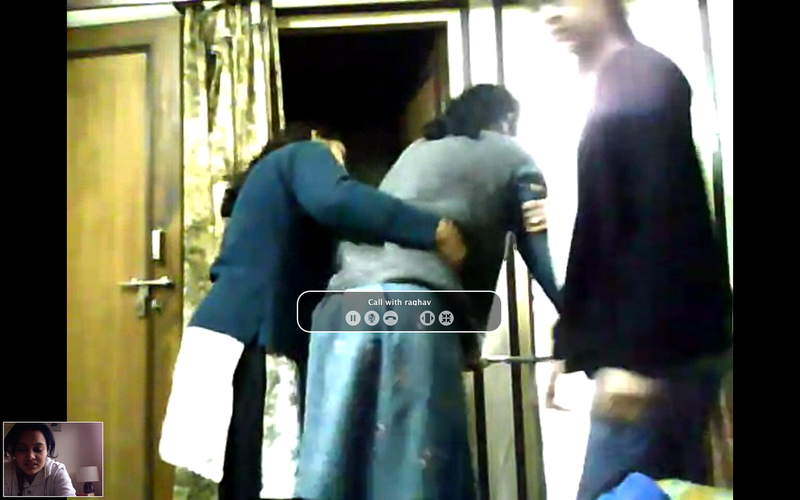 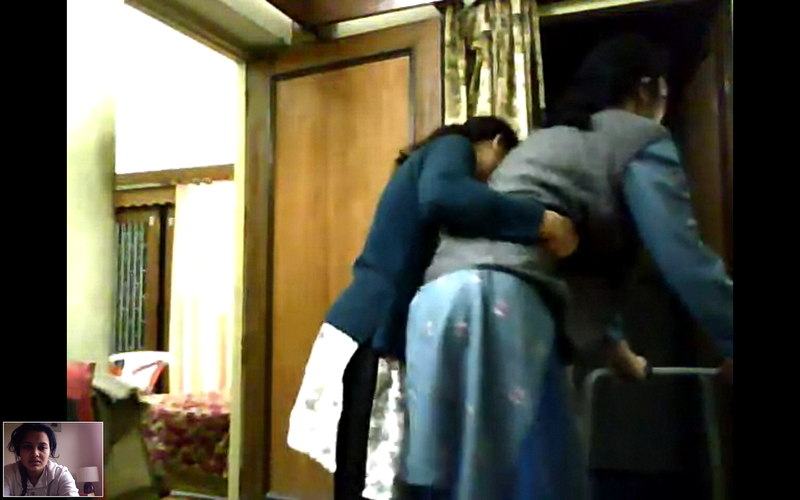 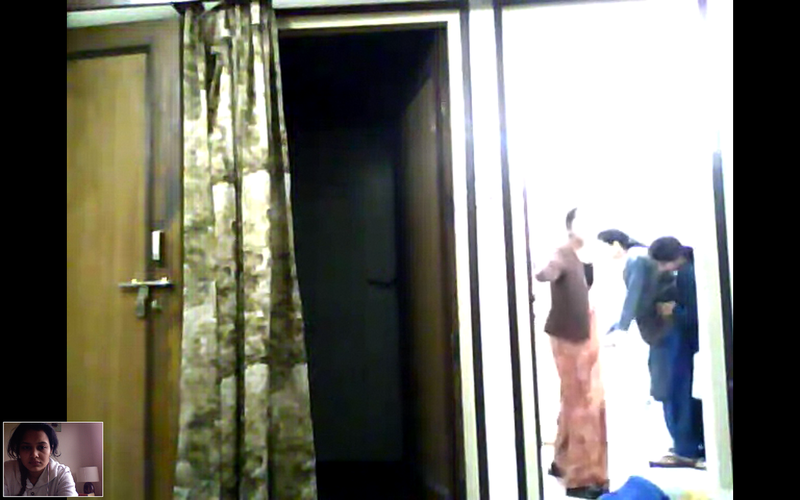 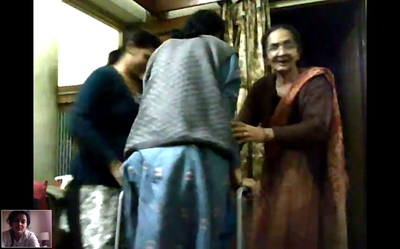 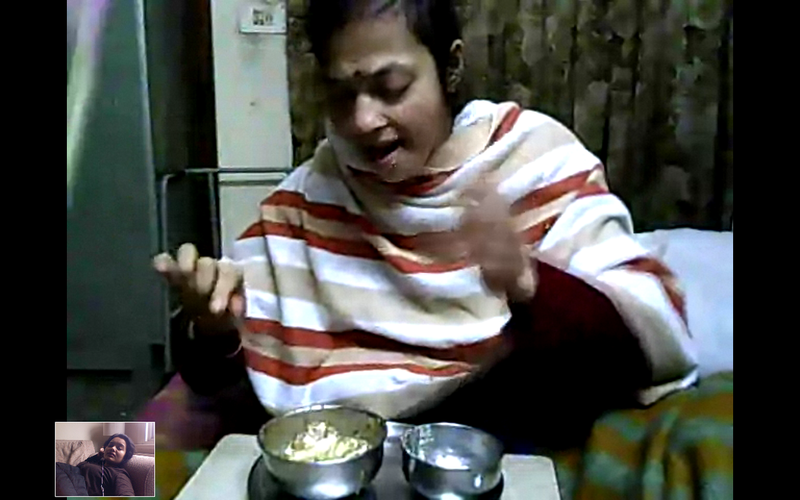 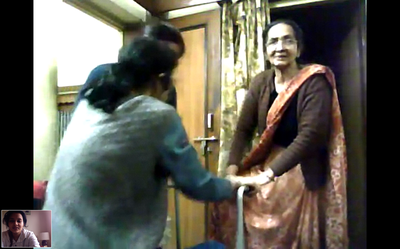 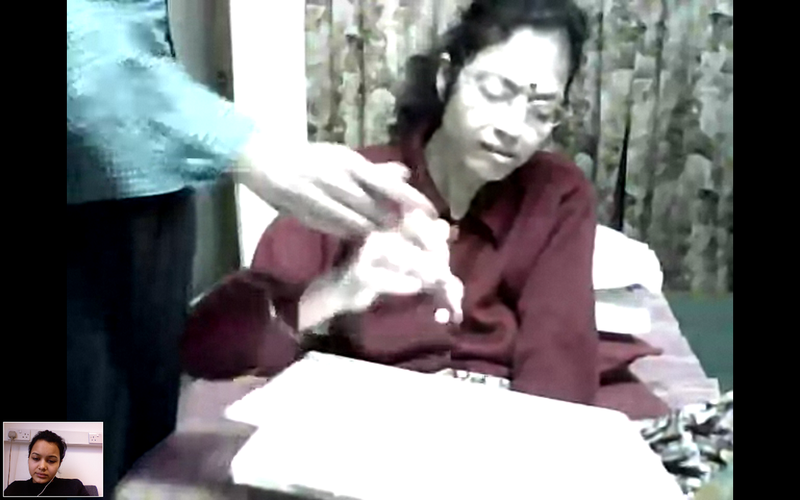 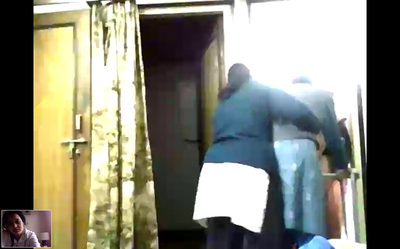 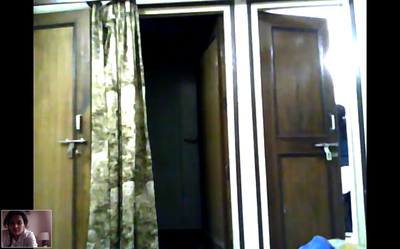 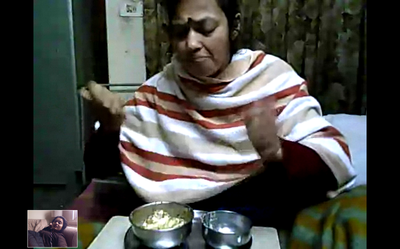 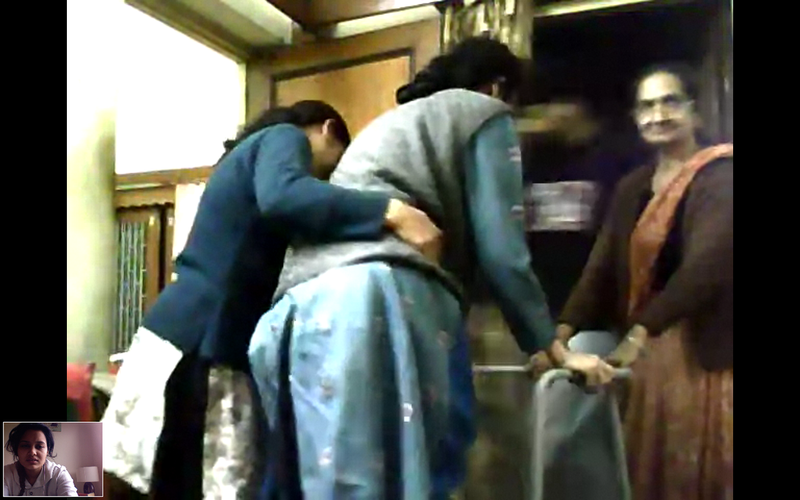 Skype being the only way to communicate with my mother played a vital role in our lives. 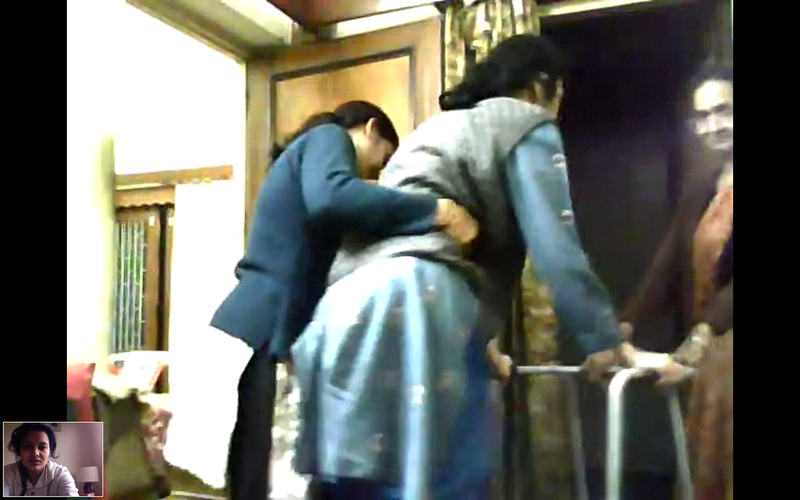 The guilt of leaving her behind in such condition made me restless. 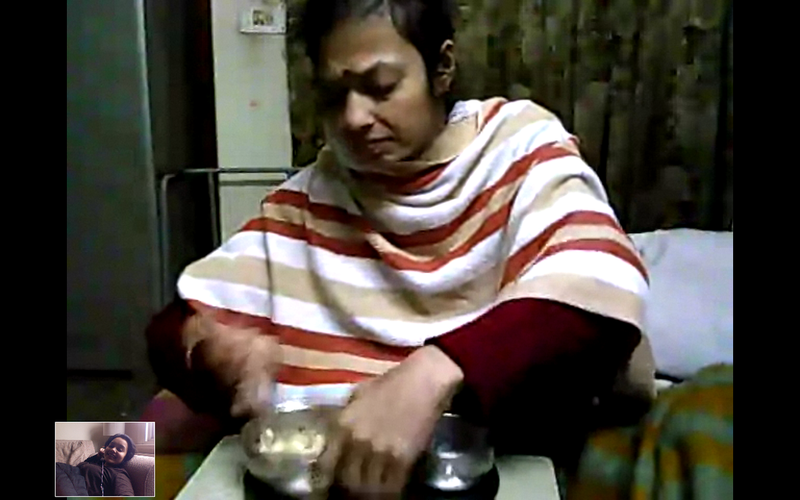 As a result I made an effort to be online everyday for her and make her do all the routine activities that she would refuse to do in my absence. Such as eating on her own, drawing, writing or even going to the toilet. 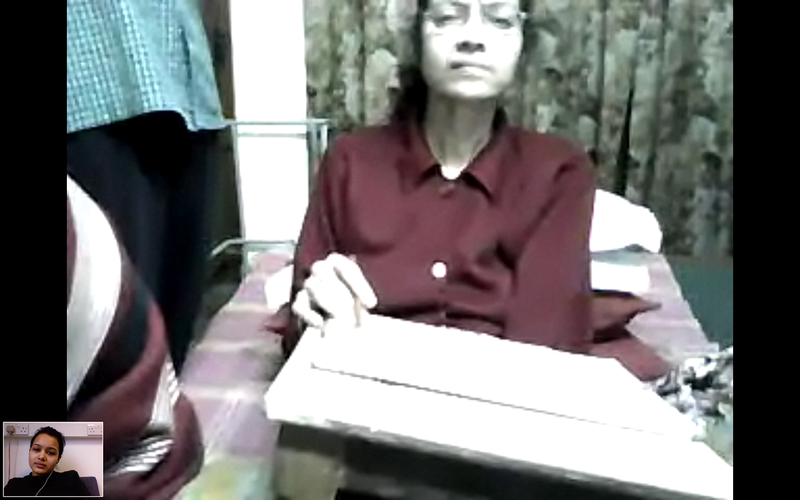 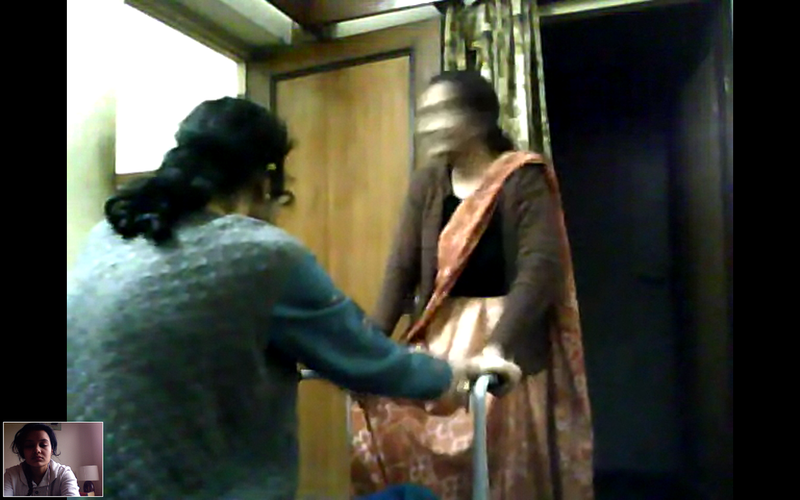 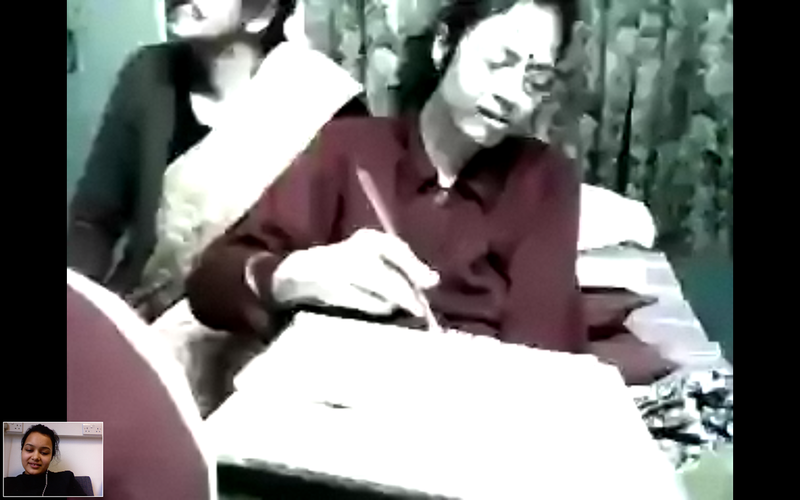 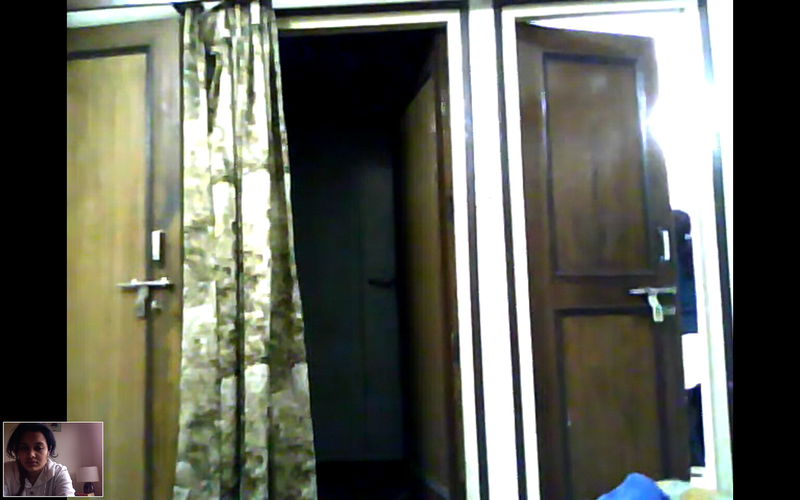 Skype snapshots can be perceived in different ways but my main concern is to depict the distance between my mother and me both geographically and psychologically.